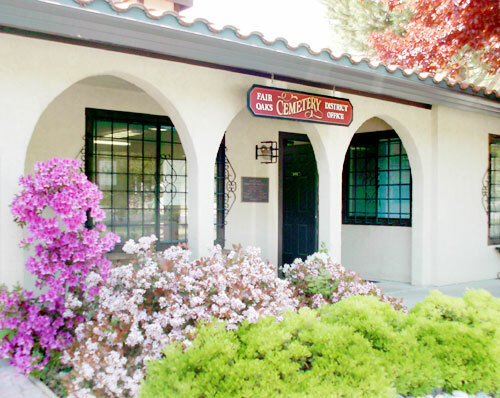 Fair Oaks Cemetery was founded on October 21, 1902, on 1/2 acre of land in Fair Oaks, CA . The cemetery facilities now cover 12 acres, and we perform approximately 200 burials each year. 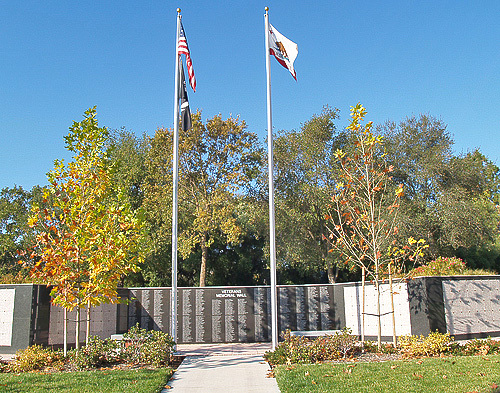 The Fair Oaks Cemetery is a Public Cemetery District, providing burial for all qualifying district residents and their families. Our prices are considerably less than private cemeteries because our operating budget is subsidized by property taxes paid by district residents/property owners, yet we are able to provide most comparable services as private cemeteries. We take great pride in our park like setting, with gently sloping hills, oak trees, and plants and shrubs. With the chirping of birds and gentle breezes, Fair Oaks Cemetery provides a serene and calm atmosphere for visiting loved ones in their final place of rest.